This is the next step for recreational foilers, making it personal flyers like the custom Australian built Stealth, and there are more on the way. To contact Michele mail him at 12piedi@gmail.com. 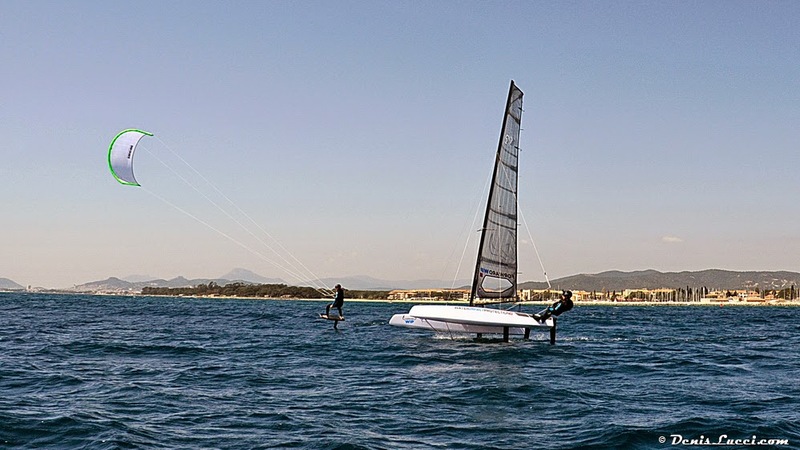 "Hi Martin , Here are some shots of last week photo session in Hyères, south of France where we met with 2 S9, Foiling Kite and Foiling Windsurf. 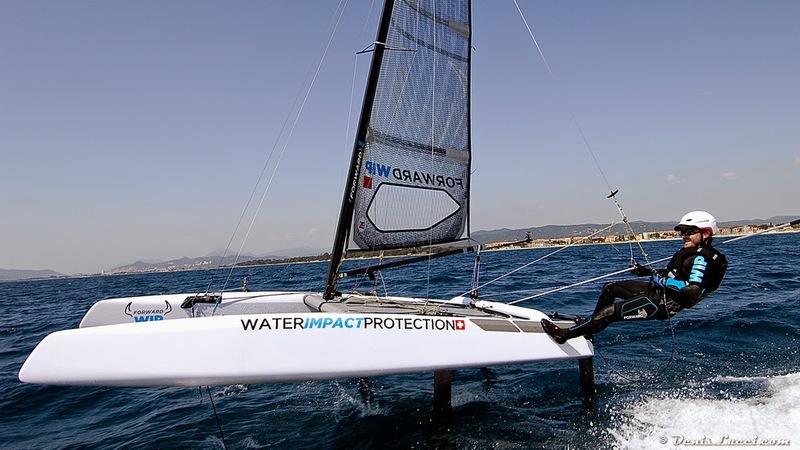 Great fun to be all foiling on water and exchanging the different Foiling toys ! S9 is in the final configuration with latest T foils that allow a stable fly mode. We were impressed about the ease to fly with this S9 catamaran final configuration. No specific action, just get on trapeze, tight the sheet, and your start to fly. 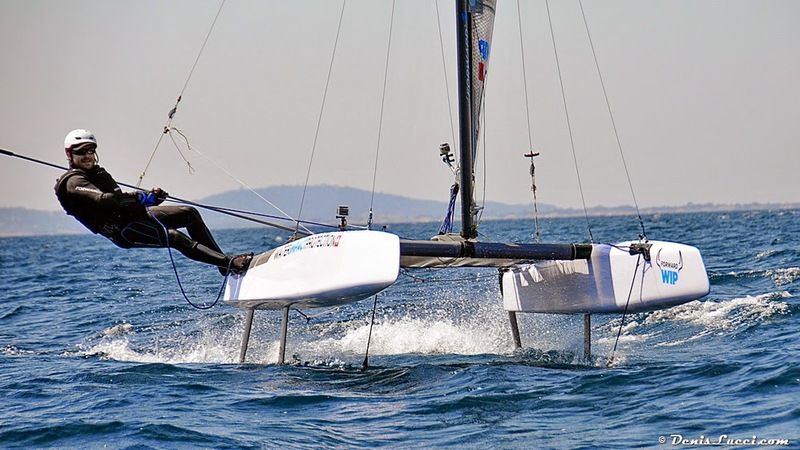 First feeling is the no noise, freedom and impression of speed even this cat is definitely not the fastest foiling boat. 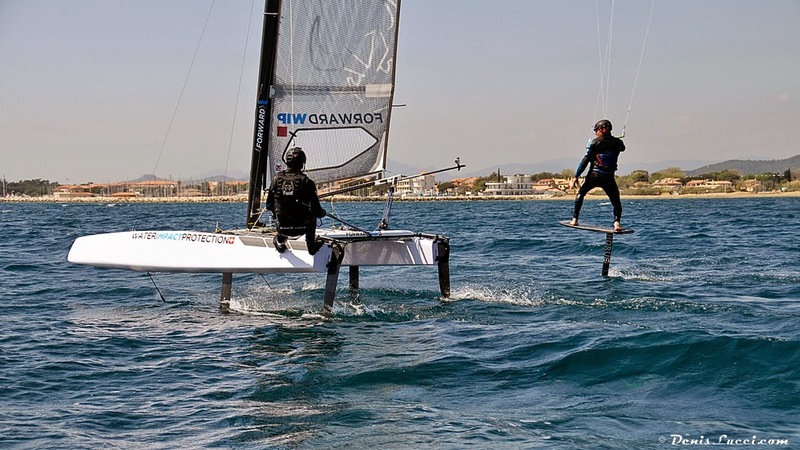 Thumbs up to Michele Petrucci who create a very cool looking, easy to rig, foiling cat that will allow flying experiences to any intermediate sailing rider. More exiting content to follow ! Thanks to Denis Lucci for very cool pictures."